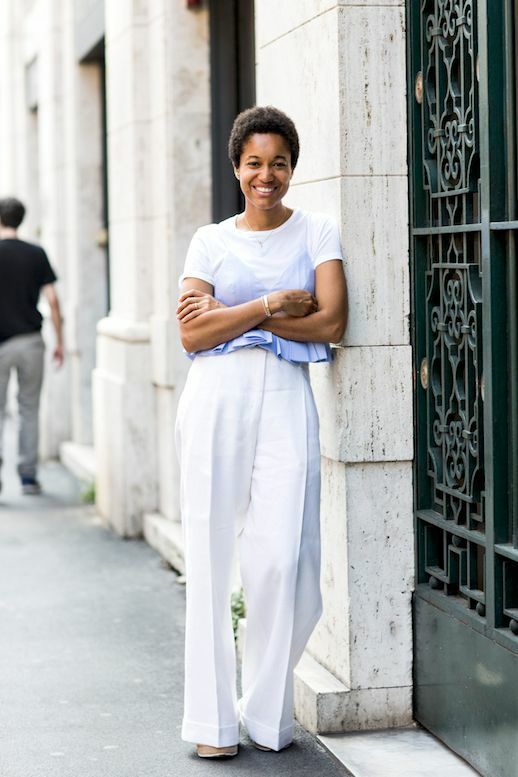 Sandra Semburg spotted the lovely Tamu McPherson in a great white pants look that we can't wait to try for summer. We tend to hesitate wearing the light pants, but this inspiration is right up our alley. All you have to do is layer a cami in a classic baby blue over a crisp white shirt, and pair with just about any style of white pants that you feel flatter you the most.